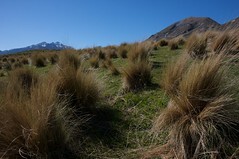 Tussock dominated grasslands are an integral part of New Zealand’s native vegetation. 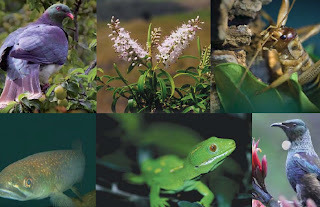 Ecologically, they do not only harbor a large diversity of grasses, shrubs, small woody and herbaceous plants, but also give home to insects, reptiles and birds. Influenced by climatic conditions and land management practices, the spatial distribution of tussock grasslands has varied over time. It is assumed that in the early 1800’s, after Maori fires had cleared much of the forest and before European settlers arrived, they covered about one third of mainland. As of 2002, agricultural land conversion and spreading human settlement have left us with only about 3%. Today, we are more concerned about “range restoration” and that the preservation of New Zealand’s native landscapes is implemented by adequate land management policies. However, not only has the spatial extent of tussock grasslands declined, but research over the past four decades has revealed ongoing changes in plant diversity and abundance of remaining tussock grasslands, towards an increased dominance of exotic weeds. The reasons for this have never been satisfactorily identified. The degradation has often been blamed on continuous pastoral use of grasslands, but research could never find unambiguous evidence for such a causal connection. 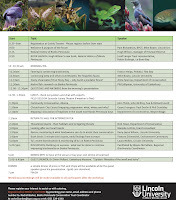 In order to find out more about what was happening in our native grasslands, Lincoln University researcher Richard Duncan and colleagues compared vegetation composition on fixed sample sites in Canterbury and Otago between the mid 1980's and 1990's (see the New Zealand Journal of Ecology, 25(2):35–47). They collected data on a variety of ecological and land management factors to test them for their influence on any observed vegetation changes. As expected, their results after the second measurement did fall in line with prior studies. Native plant species of all families had declined significantly, with the group of small herbs leading the sad trend. On average, one quarter of these plants had disappeared from all measured sites. One notable exception was native grasses of the genus Chionochloa, the snow tussocks, which had obviously benefited from a reduced impact of grazing. The only other significant increase, on the other hand, could be recorded for invasive weeds of the genus Hieracium. So what had happened? Had the rise of invasive weeds and tall grasses driven out the native plants? Were people to blame, the old culprits, with their grazing livestock and fire management? Were site location and ecological conditions of any importance? To ruin all suspense and excitement right here and now: We don’t really know. All statistical analyses run throughout the study could not come up with a significant connection. Native plants did decline on sites with no Chionochloa and Hieracium at all, at the same rate as where these species dominated. Neither did moisture, aspect, increased vegetation cover nor human management play a significant role. I would like to leave you with a call for continued long-term research into the underlying patterns of our degrading tussock grasslands. Change could be going on independent of human management and so we might have to broaden our research scope and start looking into other factors. Also, the situation may have already changed by now. If towards the good or bad, we can only find out by continued monitoring. Note that this was the motivation of a recent Lincoln University masters project by Nicola Day. Nicola led the re-surveying of the same plots. Her results will be published soon and we’ll be sure to blog about them here. This blog post was written by postgraduate student Moritz Wenning as part of the course, Research Methods in Ecology (Ecol608).